Providing Merchandising Systems to the World This is the principle behind ANTHONY INTERNATIONAL (AI). Our purpose is to provide you with the most state-of-the-art merchandising system on the market; so superior to anything else you can find that you will not even notice it. It is our job to make sure all your customer notices is the merchandise you are selling, not our doors. AI doors and merchandising products are immediately available, and we also specialize in creating customized products for clientele with specific needs. 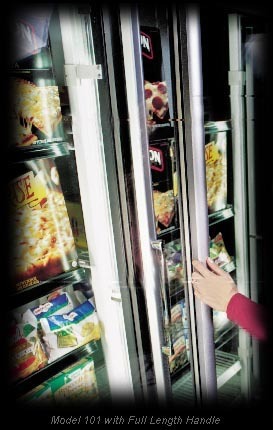 Our unique designs are utilized in warehouse clubs, grocery stores, floral shops, deli cases, meat counters, convenience stores, drug stores and ice cream parlors. Whether you place a parts order, request field service, or have a technical question, our primary goal is to make your experience with AI as enjoyable and timely as possible.